Yellowfin’s March Roadshow – thanks for joining us! Thank you for making Yellowfin’s 7.2 launch roadshow events in Melbourne and Sydney such a success. We hope you enjoyed the opportunity to be among the first people to see the full version of Yellowfin 7.2 in action. 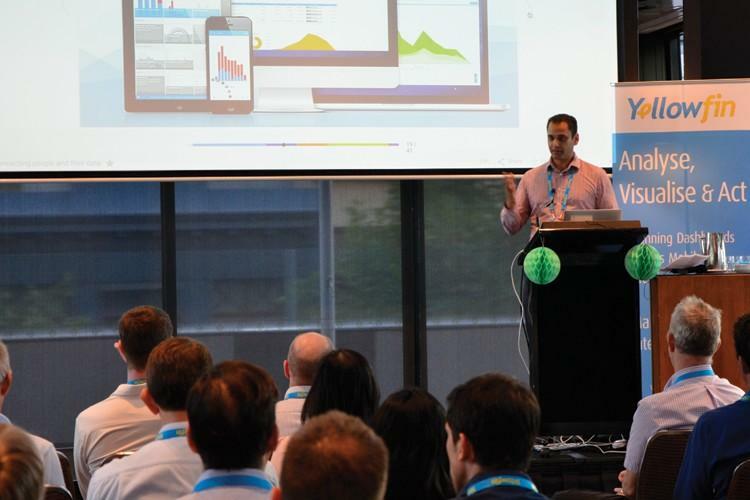 The roadshow was also a fantastic opportunity to meet like-minded people and build some exciting new relationships amongst Australia’s core business analytics communities. Below, you can access a video recording of the day’s talks as well as additional information on Yellowfin 7.2 and Volpara Solutions. New to Yellowfin? Let’s talk. As a recognized leader in Business Intelligence (BI), and with over 1.5 million users spread across 70 different countries, Yellowfin can help you address your unique enterprise reporting and analytics needs. Yellowfin 7.2 will be generally available from Thursday 31 March 2016. Deliver actionable data-driven insights to a range of user types – from clinicians to business managers and scientists – to more effectively fight breast cancer.